Game Analysis A Way Out is a co-op prison break game from the creator of Brothers: A Tale of Two Sons and his studio at Hazelight. You and a friend must work together to escape prison. 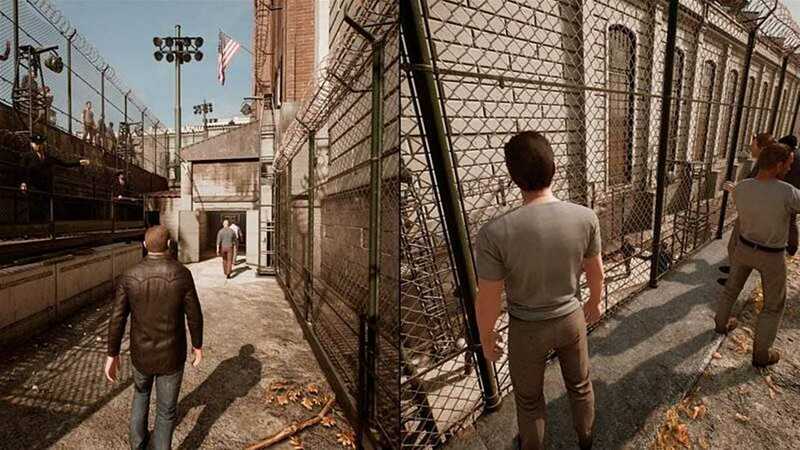 A Way Out is playable in split-screen co-op only, whether online or offline, relying on being able to see your partner's screen for story and gameplay elements. Uses gameplay cleverly to compliment storytelling. Derivative/ by the numbers story. I had a lot of fun with this. They totally nailed the coop gameplay, it felt awesome to pull off all these different things with a friend. Cinematically its one of the best games I’ve seen. The scripted sequences are on point and hold their own against even great film cinematography. The story is good but nothing special most of the time. I really liked the ending, it felt like a great payoff for all of the game up to then and combined both a gameplay and narritive shift for a fantastic effect. The voice acting is…interesting. Think Tommy Wiseau in The Room. Personally I loved it. So bad its good. But I cant see how people could find it off putting, especially as the rest of the game has such a high production value. It ran really well and looked good on my PC. I also really respect their choice to let you play for free with someone who owns the game. This is a truly unique game which creates the absolute best coop experience I’ve ever had. If you can get past a few rough edges in the story and voice acting this is so much fun, especially if you enjoy prison break type of tv/films. Quite a unique experience for gameplay, but pretty much everything else about it was highly derivative of other movies and games that did it better. Not a huge waste of time since it involves being in sync with another person to perform things right, but too EASY to really be meaningful along with a simple story. There’s something to be said about creative vision of one person. Hugely successful books are work of sole authors (with editors help), music generally works the same. In movies you have great directors who work hand in hand with the the crew to make their vision a reality. Yet videogames industry still seem to be missing these strong leaders and rather pushes out highly calculated produce. You have the likes of Hideo Kojima or David Cage, where you feel the presence of personality in their work. Whatever the quality of the work is, it is important to have this individual artistry present in the industry. Josef Fares will likely expand this club. A Way Out, latest creation of Fares’s small 50-people studio Hazelight does some justice to his words. The game is cinematically on par with Uncharted, clearly showcasing the background of a movie director. On top of that it’s co-op only, ideally played locally with your friend, or online with an unknown fiend. All with fraction of the a big game budget. Risks taken indeed! Co-op only means splitscreen at all times. Having just half the usual screenspace to compose a shot is difficult, but Hazelight have done a tremendous job. Camera is well directed, shifts around and gives focus where and when needed, never taking away control when undesired. Overall game direction works hand in hand with level design to make for an enjoyable experience. It sure helps that the game looks great, although it might have skimmed the budget for animators all too much. Sadly risks taken must be felt somewhere and don’t always pay off. Unevenly spread out budget and a strong movie director approach make A Way Out miss the mark on just about every other part that makes a videogame a videogame. Music and sound is overly subtle to almost nonexistent. Prison, where the story begins is one of the quietest places I have ever visited and things don’t change much from there. The eariness of sound design is easily matched by what just about any characters say or even have to say. Both protagonists, script and the story are cliched, predictable with no depth. Fares injects his ‘down to earth persona’ to make the story believable, failing to take the risks, making the story plain boring. It’s sad to be writing these words, since pathos at the end of Brothers, remains my favorite example of an impactful game design. 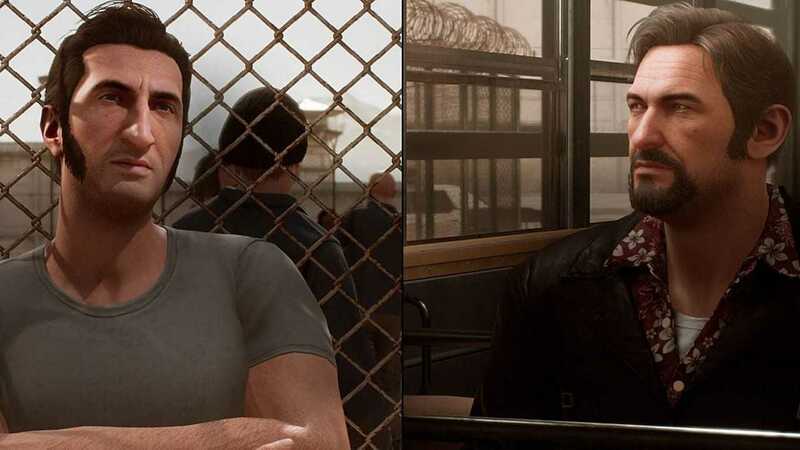 A Way Out is doing a riff of the same thing, but misses the mark, because of failing to build meaningful relationships between protagonists and the player. The game tries hard to entrap you into caring by utilizing moral values of family, duty, responsibility, but it just never gets there. The best component it has at its disposal – the interaction – never properly uses and rather relies on linear story telling. Bits of interactions between the co-op players are interesting, but if you have seen the initial E3 trailer, you have seen them all. During the six hours or so to get through the game you are required to work together often. Being a very casual game no risks were taken on the skill required, limiting the toolshed of mechanics designers can use. That left the game to rely on quick time events and generous healthbar during action sequences and dumbed down limited options during adventuring. At the same time there’s a lot and not much to do. Every level gives you and your co-op partner great many bonding opportunities. Hobble a piece of wood in the prison workshop by pressing a button. Do a bunch of pushups by mashing buttons harder and harder. Play piano, arcade voleyball, basketball or baseball. Nothing you do, from exchanging a couple lines with random characters to various interactions with the environment has much impact or purpose. It all feels like a filler. Even more so it feels like a missed opportunity, of trying to bond the players as much as possible. Skimmed. That’s what the game feels like. Not unfinished, just skimmed. And no one really likes watery milk. This obviously doesn’t say how Fares approaches compromises. Hazelight is a new studio and A Way Out is a new IP. Rather than getting consumed by the hunt for perfection, the Achilles heel of every creative, someone at Hazelight knows when and how much to cut down to get it done. The next time can be bigger and better. 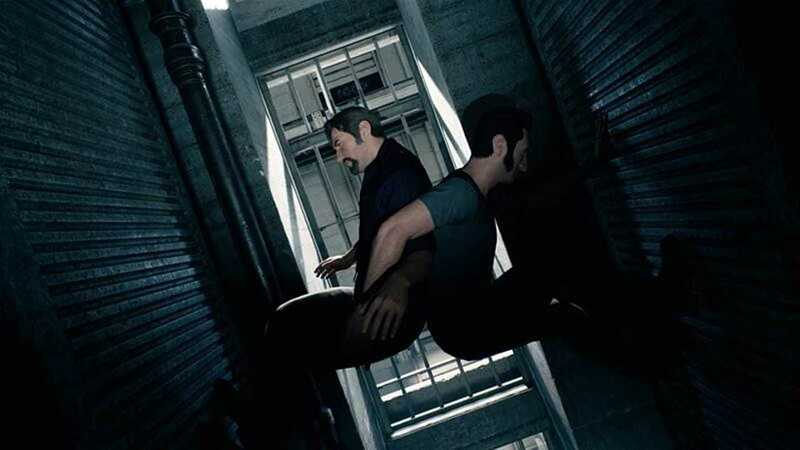 At the end of the day, A Way Out is an approachable casual action adventure game for two. It has little new to offer game design or story wise. Still you’d search hard to find a similar game out there. That being said it doesn’t necessarily make it worth recommending. Copyright © 2014 - 2019 SocksCap64, All Rights Reserved. Logos, Trademarks, Pictures Belongs To Their Respected Owners. Powered By WordPress. 108 Queries in 0.575 seconds.